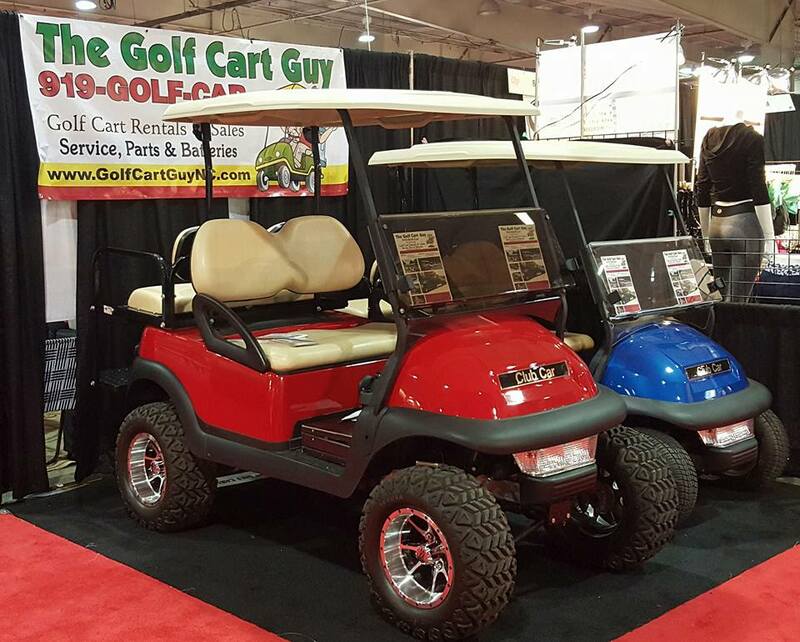 The Golf Cart Guy offers a full line of new, used, reconditioned and customized electric and gas golf cart vehicles! Whether you need one cart or an entire fleet, The Golf Cart Guy is your best source for getting exactly what you need, whether you’re looking for a cart for the neighborhood, beach, apartment complex, municipality, camp ground, golf course, race track, show grounds, property management, nursery, college campus, airport, commercial facility, etc., we have carts to meet your needs! Contact us now at (919) 465-3227! Contact us at (919) 465-3227 or fill out the form below to discuss your golf cart sales needs.